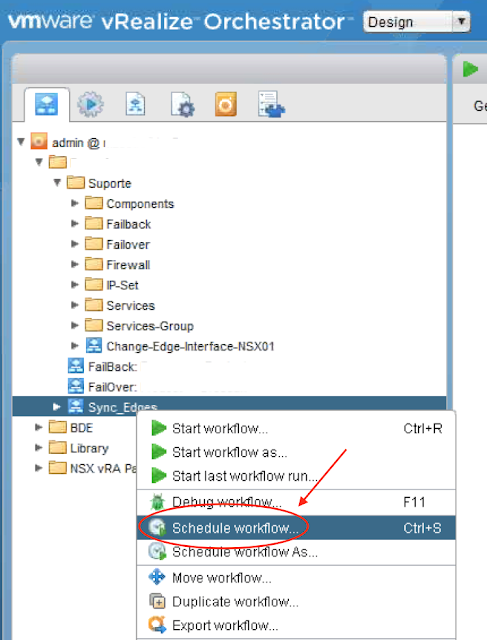 Do you know that amazing vRealize Orchestrator workflow of yours, would not you like to run it automatically or from time to time?!?! Well, vRO has a scheduler engine, so you can schedule your workflows to run at the specific time, let’s see how it works !!! 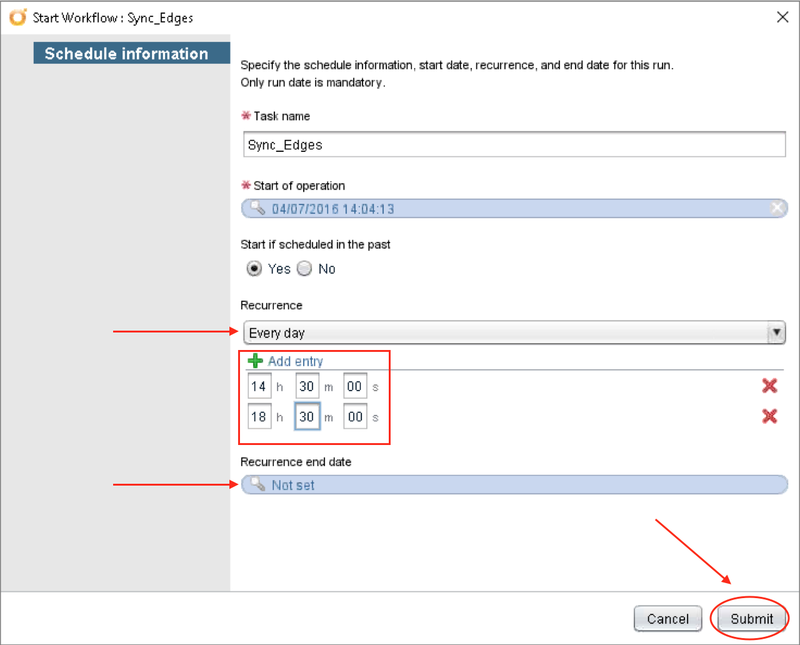 There’s a few recurrence type as Every hour, day, month…. But curiously, even thoug I pick Every day it will not run once a day only as you might think off, as you can see on the screen, I can add multiple entries that will kick-off my workflow, on the example it will run daily at 14:30 and 18:30. How do I change the schedule once I created it ? - Click the Scheduler tab and select the schedule you just created. - On the right you will see it’s details, click on the pencil to edit it. If you need a more official training you can look at my learn, ICM are a good start point.